I co-authored this item with Belfast, Northern Ireland writer Dean Sterling Jones who's cross-posting it at his lively Shooting The Messenger blog. I first contacted Dean a couple months ago after I was flattered to learn he'd picked up my September 30 item about Dr. David Katz posting a shill five-star review on Amazon for his novel reVision. Since then, Dean's been keeping his readers informed about further developments in Dr. Katz's literary career. 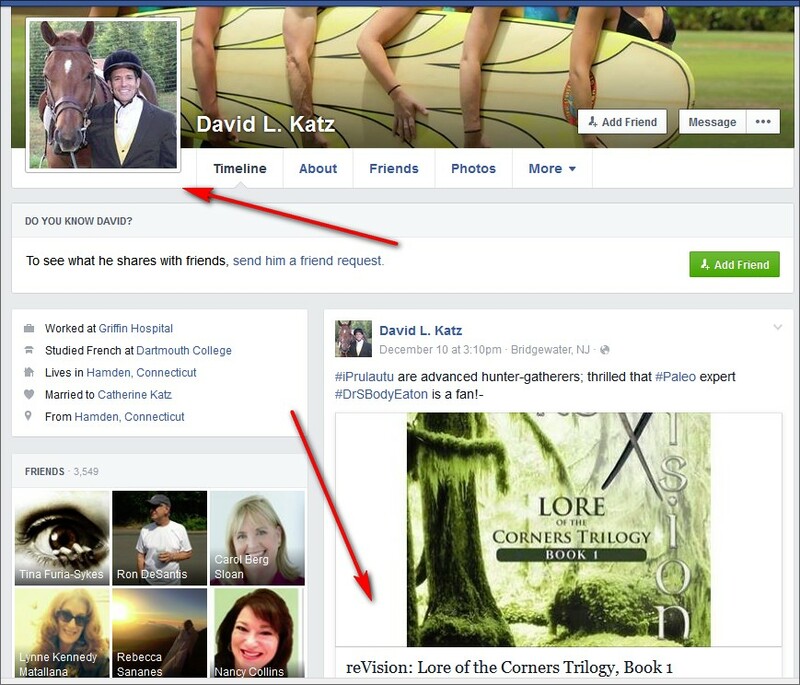 3) Recent articles in the Yale Daily News, Retraction Watch, and IMediaEthics (please click the names to read those stories) reported that the Huffington Post deleted two columns by Dr. Katz in which he lavished praise upon reVision without informing readers that he wrote the novel and that Amazon.com deleted a five-star review for reVision which Dr. Katz posted on his Amazon user account without identifying himself as the author. 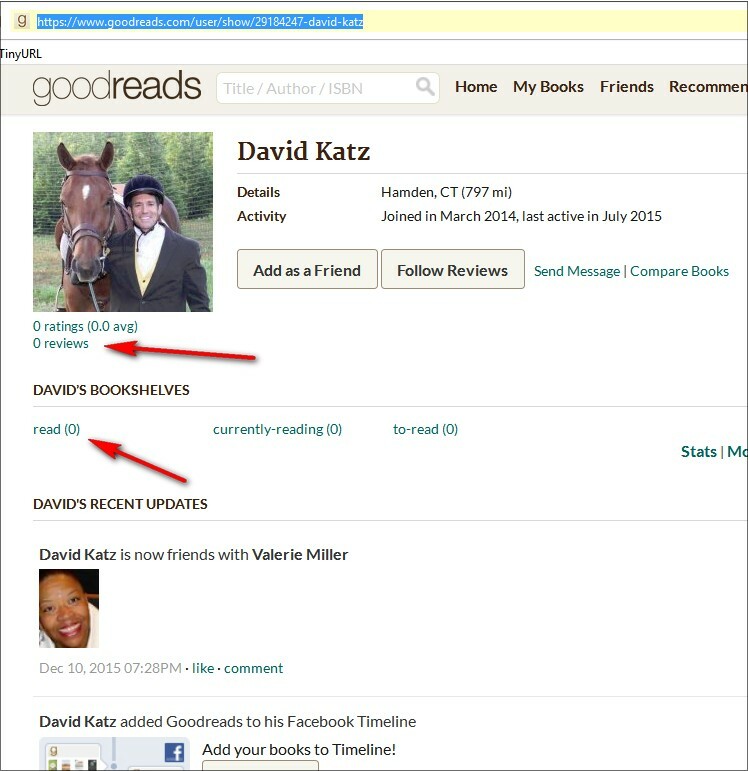 Is Dr. Katz's Goodreads review of reVision in compliance with your review guidelines? 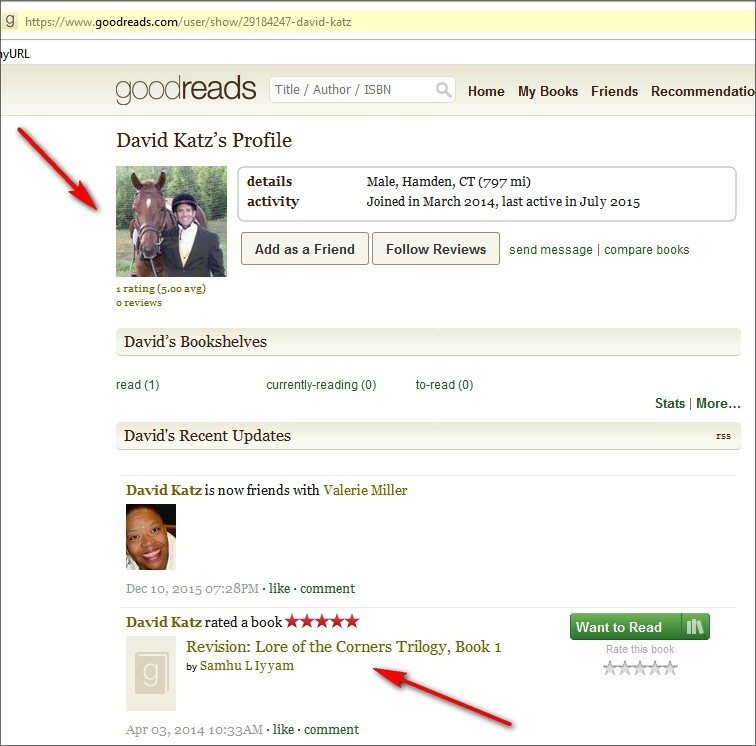 UPDATE, 12/16/15, 10:18pm ET: Just hours after Dean Jones Sterling and I blogged our items, Goodreads.com scrubbed Dr. Katz's self-review.